ha! love it!! I always wanted to have one like this....I love your vodka card. 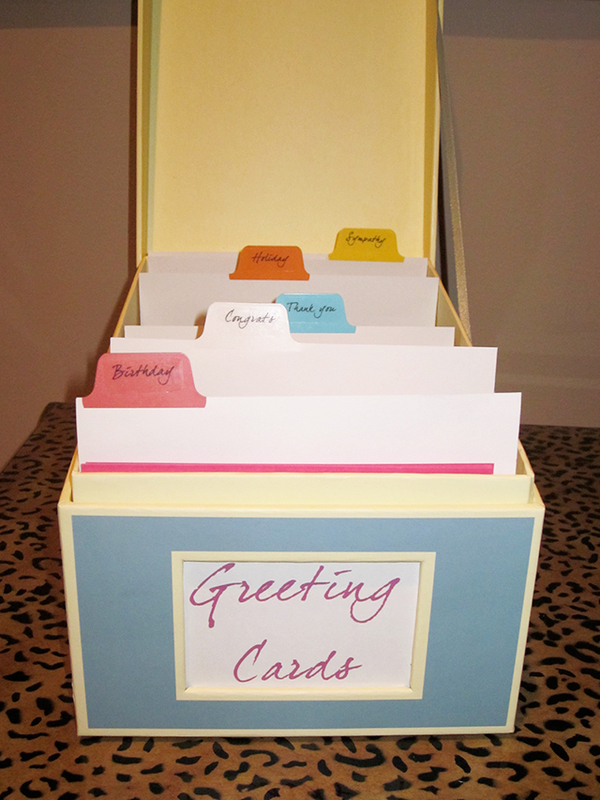 Sam,Great idea..I have a box of cards that I add to whenever I see some cool cards. 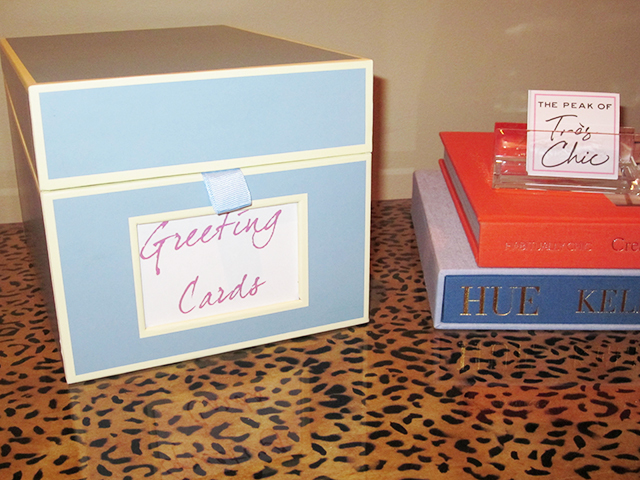 My family even goes to my card box in an emergency to find a last minute card, so it's a great organization tip. so cute! 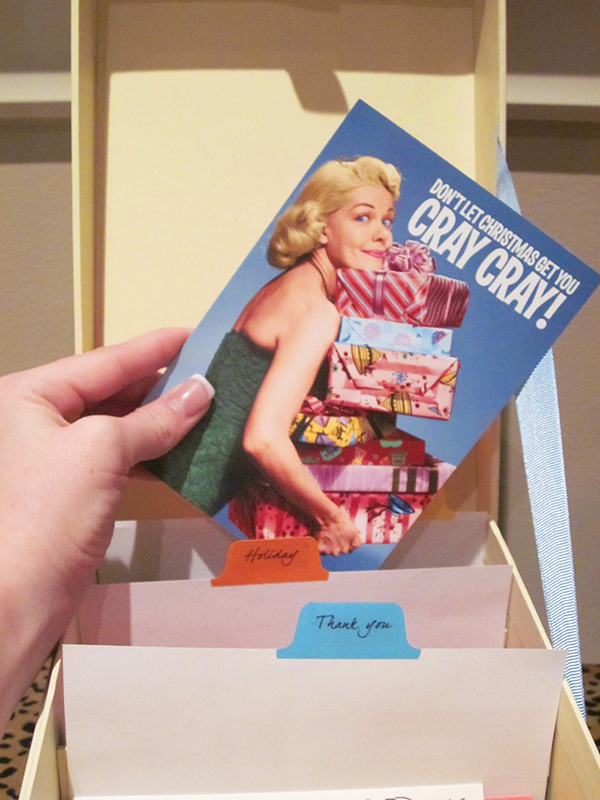 I need to be better about buying cards aside from thank yous. Adorable! I have mine at least in a single box but definitely need to get sorting! Thank you for the idea! I think it's so great to have a box like this on hand. It's perfect for last minute parties, just grab a card on your way out, no need to stop at the store. My stock is low. Must get on this. Fabulous post! 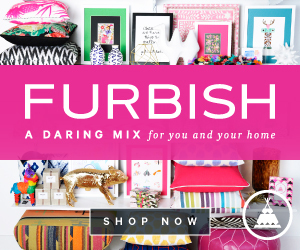 Come and make my house organized!! I need that I Recommend Vodka card asap! 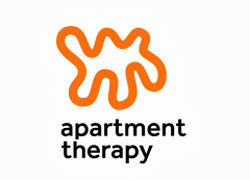 And this is a great idea! oooh so lovely! 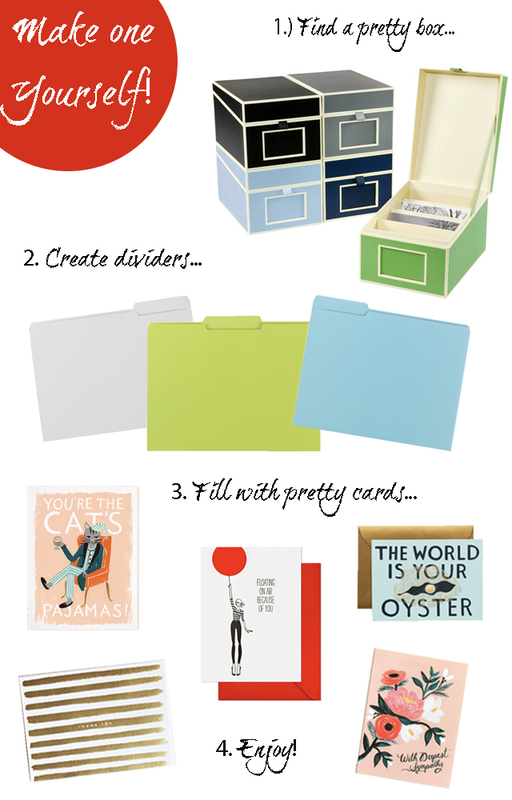 i'm such a fan of pretty little cards too and this organizer is so great!!! 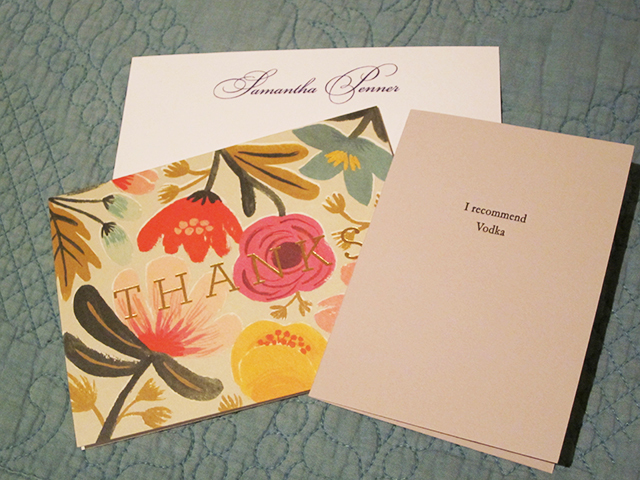 I'm still such a fan of sending snail mail ... especially on such pretty paper! I love hand written notes and I love organizing so this is great! Thanks for the idea and the sources! I so need to do this! I love buying cute cards, but then when I need one I can never find them. I am sure if they were stored this way I would send more snail mail to friends and family. Will cards that are on the larger side (like some anniversary or wedding cards) - fit in this box too or is this only for small, standard sized cards?